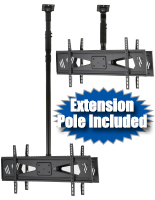 Utilize this swivel ceiling TV mount in restaurants, airports, stores, and more! 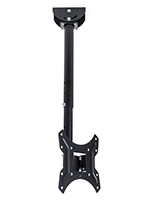 The full motion design allows the bracket to move with a 360° spin and 25° downward tilt. 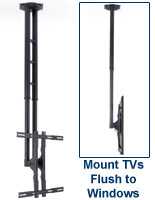 Effortlessly arrange your flat panel screen with this steel TV mount to offer the best possible viewing experience. 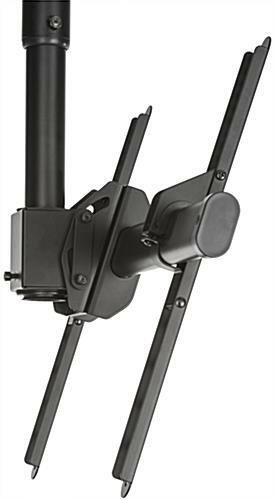 Each fixture features an adjustable plate, providing 60° of motion to display your monitor on tilted surfaces without difficulty. 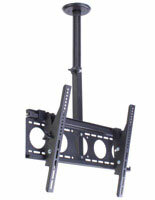 Integrated cable management keeps your TV mount and flat panel setup looking tidy and professional. 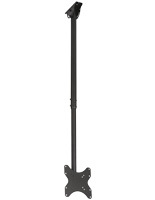 Use this full motion display to provide a clear view of entertainment or pertinent information to customers. The title of this says it all. 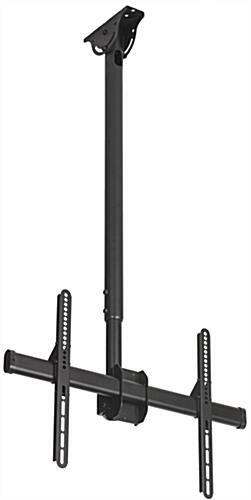 I have a 65" Samsung LED that I wanted to mount but hesitated doing it myself on my plaster wall. I received quotes ranging from $250-$350 just to hang it. I wanted to move it from a different room which I mounted myself on drywall. In the room I moved it to, I have an exposed ceiling so mounting it would be a piece of cake expect for that it's 11' high. All the ceiling mounts I looked at only hung around 20"-30" and that wasn't enough. 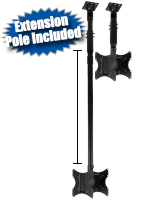 I found this mount with it's long extension. In total, it probably took my 30 minutes to hang. Let me tell you...I couldn't be more pleased with it. 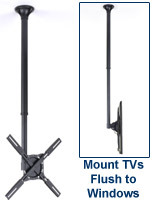 Great quality on the mount so I felt comfortable knowing my TV isn't going to come crashing down. It only came in black so I painted it white to blend in with the wall. This thing is exactly what I needed. Great product!!! Brandon, thank you so much for your excellent review! We're so happy to hear that this extended ceiling mount was the perfect solution for your high ceiling, and we're delighted to hear that it was easy to set up and felt secure upon installation. We really appreciate you taking the time to share your experience with us! If you post a photo of your new white TV mount on social media, be sure to tag us — we'd love to see how it looks and put it on our "Be Inspired" page. Thanks again! 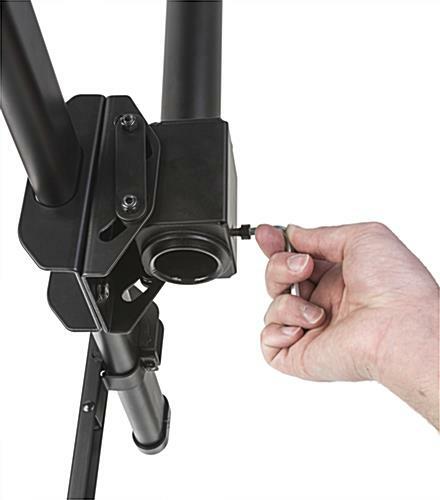 This product was exactly what we needed! Love the ceiling TV mount!!! 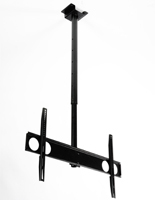 We recieved our Ceiling TV Mount quickly and installed it without any hitches. The instructions worked well, the product seems solid, and the price was right. It gets the flat screen TV off the furniture and makes room in our bedroom for our yoga area! 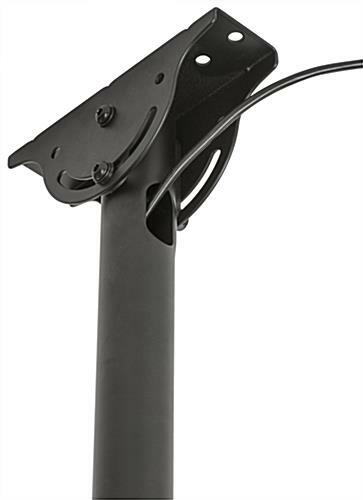 We're so glad this ceiling TV mount worked so well for you, Arunas! Thanks so much for taking the time to review and snap a photo!